If your loved one was injured or died as a result of abuse or neglect at a nursing home, assisted living center or group home, we can help you. Broken hips and hip fractures are injuries that substantially occur to the elderly. This is largely explained by the fact that bones grow weaker and more fragile as people age. In addition, hip fractures are most often the result of falls. Those with balance problems, cognitive deficits and deteriorating eyesight are especially prone to falls. Broken hips, in particular, are very serious injuries for the elderly. They nearly always require surgery and may result in the need for a hip replacement. In addition, hip and leg fractures patients are at increased risk of developing bed sores or pressure ulcers. Residents of nursing homes who suffer broken hips or hip fractures are highly likely to remain in a care facility for an extended time, often for the remainder of their lives. Other broken and fractured bone injuries present far greater medical and quality of life threats to older people than to other age groups. When these injuries are the result of abuse or neglect by nursing home staff, the facility operators can be held responsible for damages. 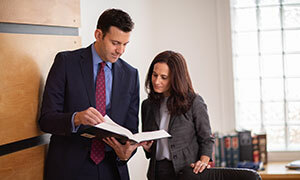 Our injury lawyers and staff want to help you, in the unfortunate event that you need our help. Just e-mail or call us for a free, no obligation, confidential consultation.